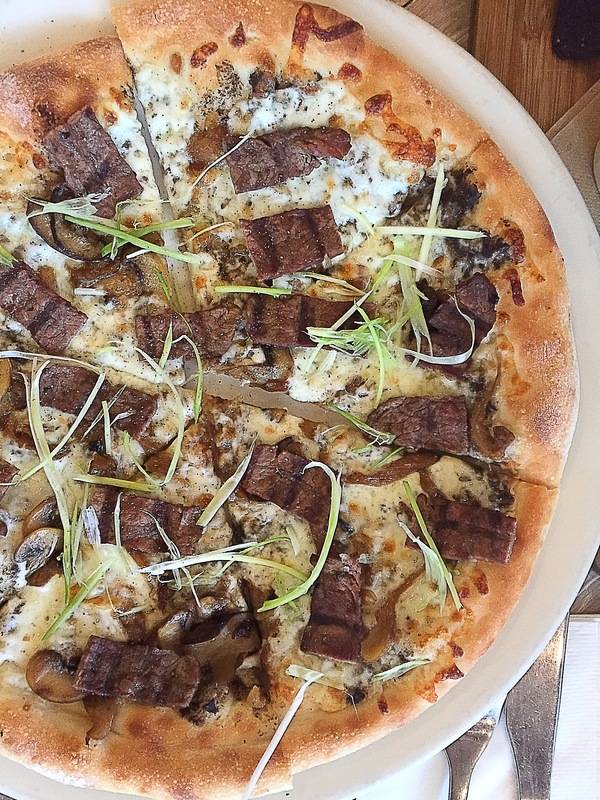 Every so often CPK holds Pizza Wars and we were fortunate enough to witness one of these Pizza Wars yesterday. Its purpose is to encourage employees would be to be creative and at the same time feel a sense of ownership because whoever wins the pizza war will have his or her pizza place on the menu. The wars are among pizzaiolos of different branches of CPK. 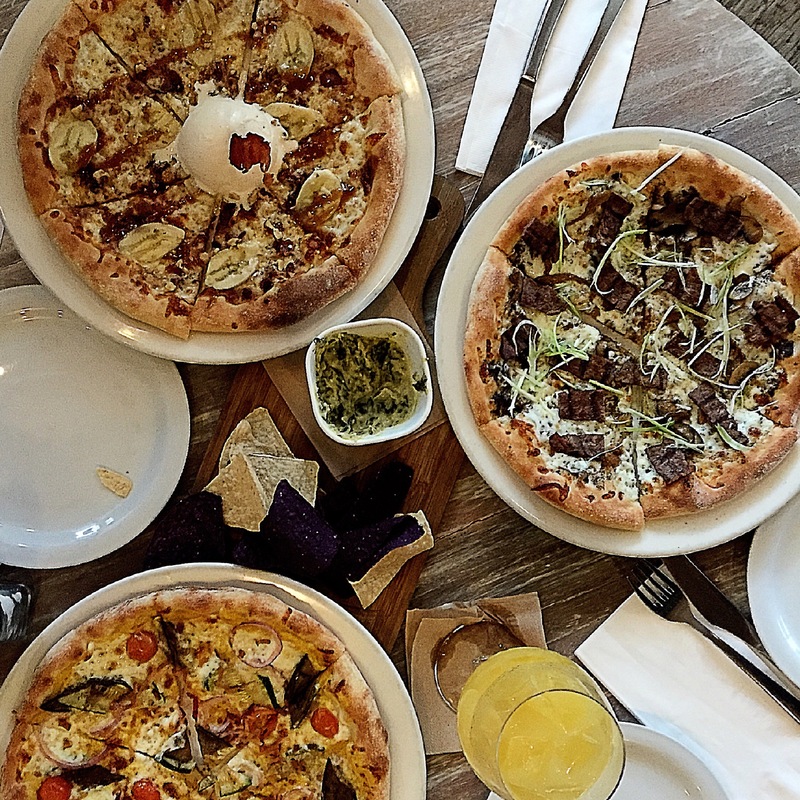 For this pizza war there were three contestants or finalists: Romel Panaligan from CPK Alabang, Lea Castillones from CPK Eastwood, John Chloe Oplejeda from CPK Trinoma. Panaligan from Alabang made a vegetarian pizza called Farmer’s Choice. 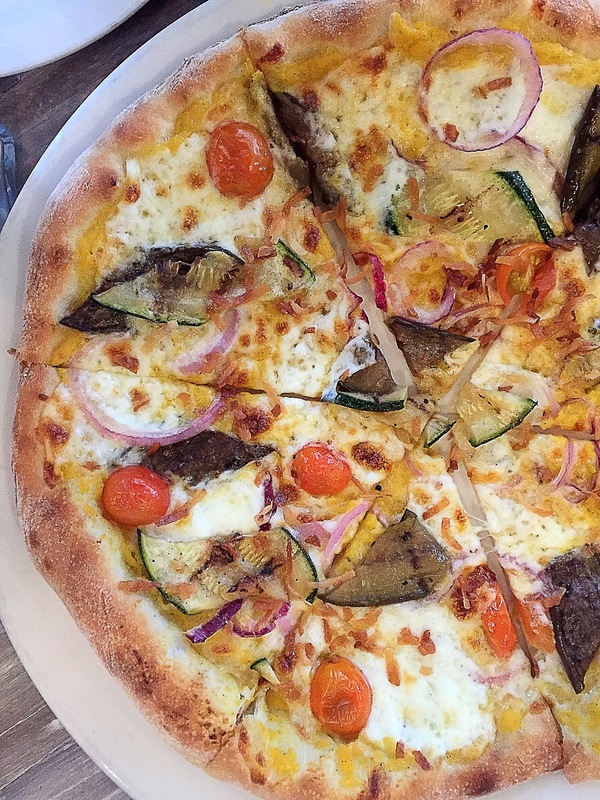 Its base was roasted squash then the pizza was topped with mozzarella grilled eggplant and zucchini and for added roof he also put cherry tomatoes and desiccated coconut. A lot of the guests and judges were touched by the story of Panaligan about how he started out as a dishwasher at CPK then move up to become a pizza chef. it was a good and hearty vegetarian pizza. Castillones, the lone female chef in the contest surprisingly was the one who chose to put steak in her pizza. This was a very filling pizza and I loved how the steak was thin and not hard to chew. She also added truffle oil which gave the pizza character. This pizza was my favorite among the three and if I were to judge I would have voted for this one. 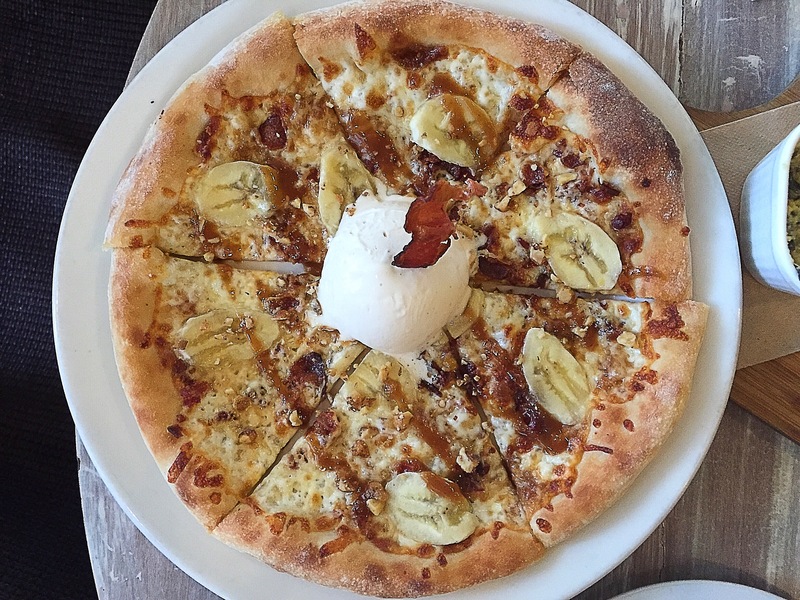 It is actually a dessert pizza but it was interesting how the chef incorporated everything you love about the morning: Bacon, maple syrup, bananas and a scoop of ice cream in the middle for both sweetness and contrast.